Brighton is home to the fifth-most visited library in Britain, according to a survey published yesterday (Wednesday 9 December) although numbers are down. 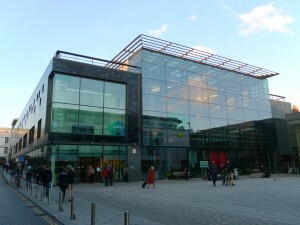 More than 950,000 people visited the Jubilee Library, in Brighton, in the 2014-15 financial year, according to the Chartered Institute of Public Finance and Accountancy (CIPFA). It included the figure of 952,083 visits in its survey results which questioned “the long-term sustainability of council-run libraries”. This was down on the number visiting the Jubilee Library in the previous year, which CIPFA said was 1,003,702. CIPFA said that its survey found budgets were down, libraries were closing and visitor numbers were dropping. It said: “CIPFA’s annual library survey also shows that the number of people using libraries across the country continues to fall. While the mobile library service has ended in Brighton, Woodingdean Library is now in a new building. Mile Oak Library is in a new building too. And Hangleton Library had a refurbishment after it was flooded. 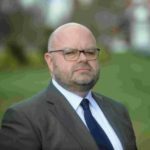 Brighton and Hove City Council has also opened The Keep, the county archive and history centre at Falmer, a joint project with East Sussex County Council. It also houses the Mass Observation Archive from Sussex University. The council is consulting on the closure of the Carnegie Library in Hove. 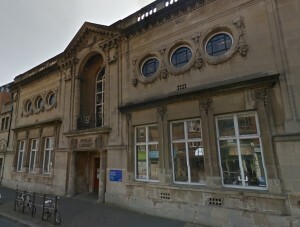 While the building would shut under the proposal, the library collection would be housed at Hove Museum where an extension would be purpose-built. CIPFA chief executive Rob Whiteman spoke about the national picture. He said: “Once more, our annual library survey makes for grim reading. 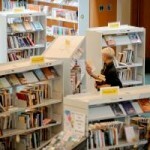 “Cost-cutting measures continue to hit unprotected services hard and fewer people are using public libraries.